Purchase this slice of awesomeness now and earn 110 Vein Tap Points! 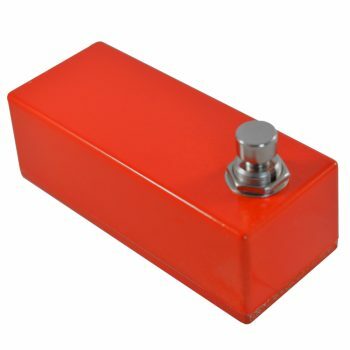 Few overdrive pedals are so well regarded as the TS808 Tube Screamer. In terms of tone, it’s unrivalled, and is a strong contender for the pedal most heard on recordings since its introduction in the late 70s. 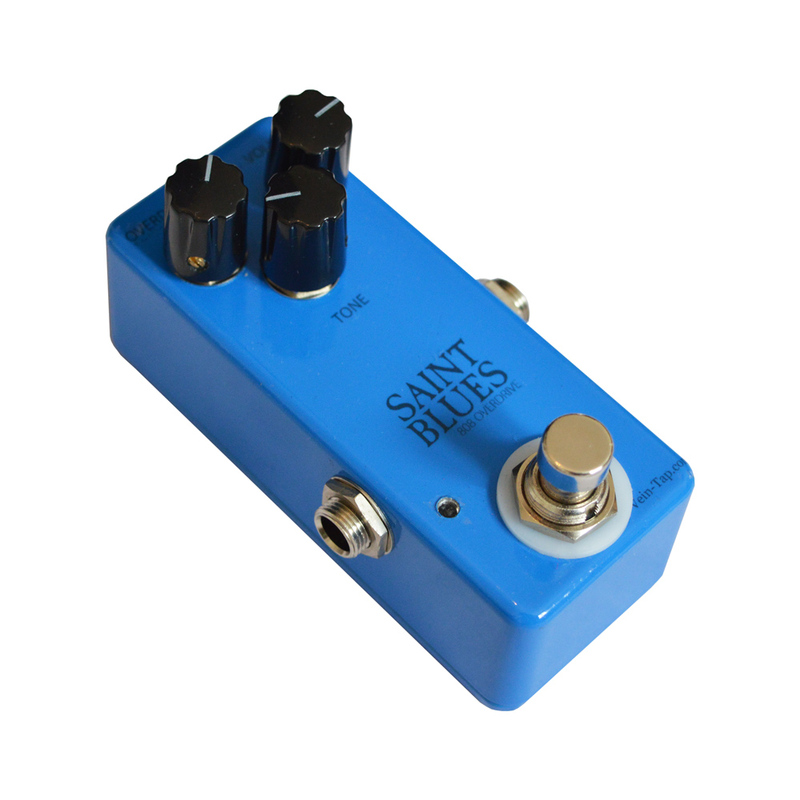 Saint Blues is a true, point-to-point, fully analogue recreation of the TS808. It replicates the circuit completely, including the same clipping diodes, tantalum capacitors and resistor values, and even the “holy grail” IC chip, the JRC4558D. The choice of IC chip doesn’t have as much of an effect on tone as many would have you believe, but we’ve gone the extra mile to ensure that Saint Blues recreates every nuance of an original, vintage TS808. 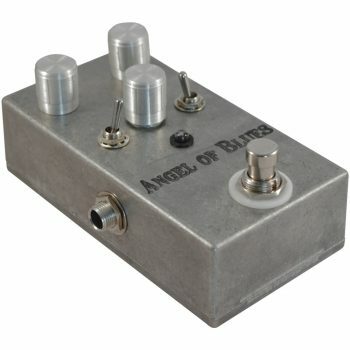 Just like the old blues pros used to do, you can build your drive tone from Saint Blues alone. 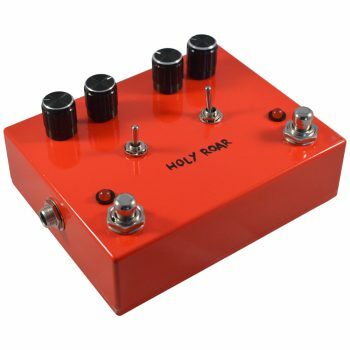 He’s got a full, rich, mid-boosted roar, characterised by symmetrical negative gain feedback diode clipping, which sounds amazing on any amp but especially on cleaner-than-clean Fender amps. You can hear this tone on countless records from back-when, including Stevie Ray Vaughn’s Couldn’t Stand the Weather and some of Joe Bonamassa’s early output. 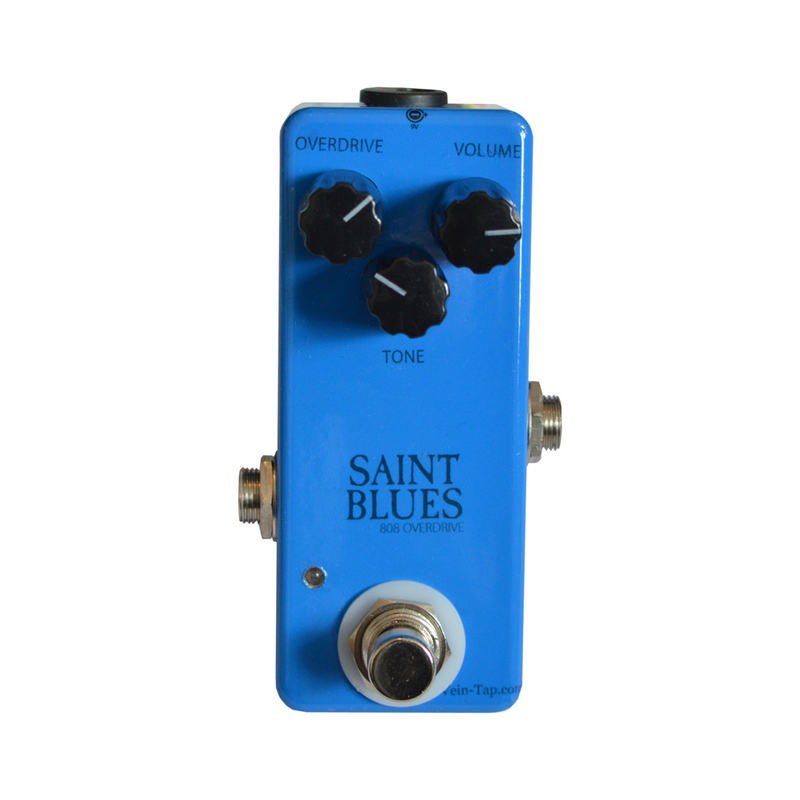 A personal favourite here at Vein-Tap.com, Saint Blues sounds amazing when used at mid-gain levels in conjunction with a fairly driven amplifier. On the tone demo video above we pushed the orange channel of a Dual Rectifier amp set to Vintage mode, and the results speak for themselves. With a hump in the mids, this allows a crunchy amp to cut through a band mix without sounding harsh, and adds a beautiful extra sparkle to a crunch channel that even the highest-end boutique amp can’t achieve by itself. You can hear this tone on almost any mid-gain rock record you care to mention, including songs by John Mayer, Gary Moore and Noel Gallagher / Oasis. It was by doing this that Billie Joe Armstrong was able to create the huge range of guitar sounds on Green Day’s early records. 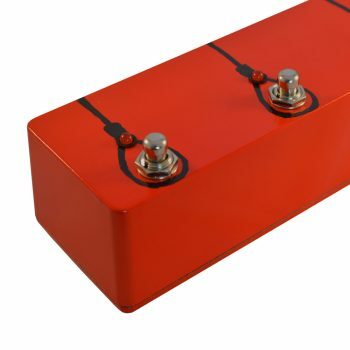 Ask any pro hard rock / metal engineer, and they’ll all agree: the best way to create tight, chugging, responsive metal tone is to tame a high-gain amp’s low end with a Tube Screamer. 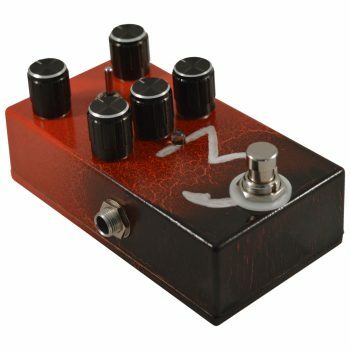 Crank the Volume, drop the Overdrive control to minimum, and set the Tone control above midway to taste, and your metal tone goes from good to pro. 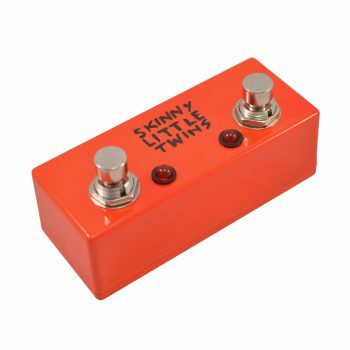 This is because the mid hump inherent in 808 overdrives tames the low end, so that the bass and bass drum sounds don’t swallow your tone, and the slight negative feedback clipping adds just a hint of extra aggression to your tone. It doesn’t change the character of the brutal sound coming from your amp, it simply refines it, allowing your stage and studio metal tones to sing clear, savage, and present. This tone can be heard on every single hard rock / heavy metal album you own. 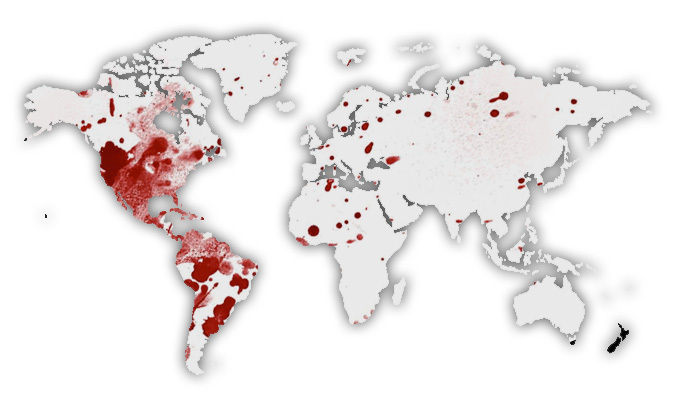 So Why Choose Saint Blues? 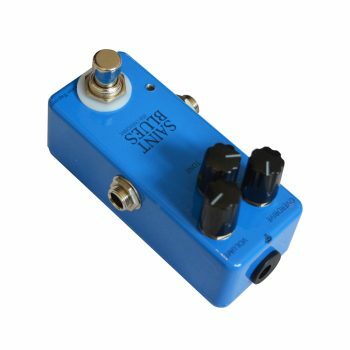 It’s an excellent question: if Saint Blues is an 808 overdrive, why choose it over a TS808 Tube Screamer? The answer is easy: it’s smaller, lighter, costs far less, looks at least as beautiful, and is covered by Vein-Tap.com’s Lifetime Guarantee. 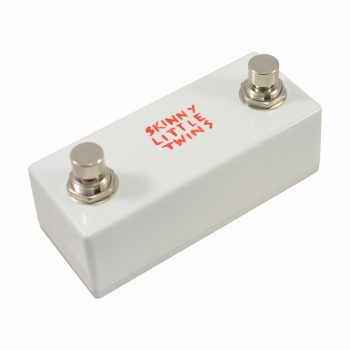 You could add another small-factor pedal in the space you save with Saint Blues over a Tube Screamer, and it’ll make your pedalboard lighter – essential for any gigging musician. A brand new Saint Blues is half the price of even a used TS808 – and with its Lifetime Guarantee, you can rest assured that this really could be the last time you drop coin on an 808 overdrive. 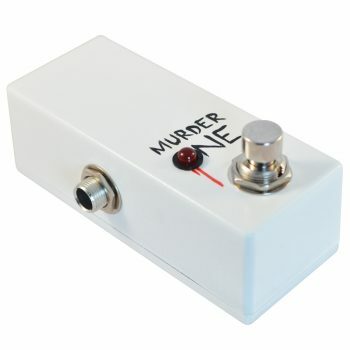 It’s also made with true bypass footswitch circuitry to ensure when he’s on, he’s on, and when he’s gone, he’s gone.